Community Event Idea: A Free Garage Sale? 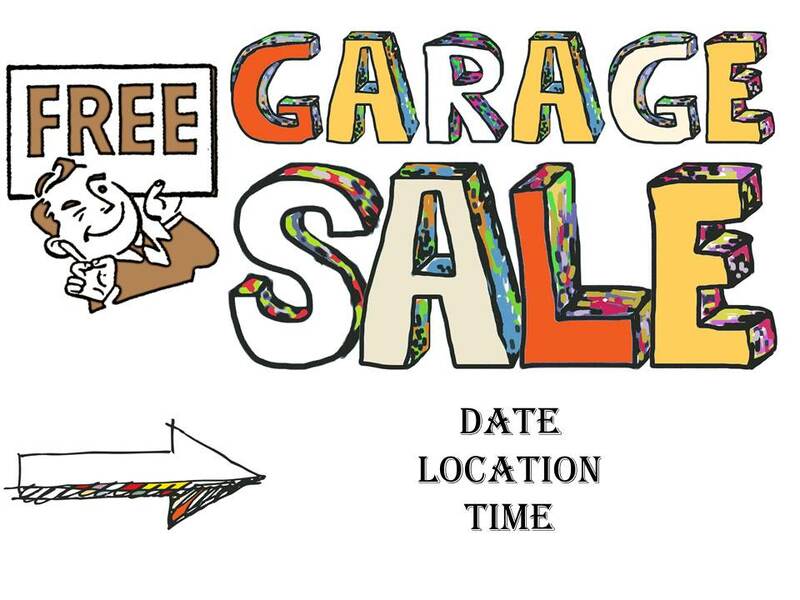 Idea: A Garage Sale Giveaway or Free Garage Sale is pretty self-explanatory. Essentially, you have a garage sale or rummage sale at your church. However, the big difference is that EVERYTHING IS FREE. The goal is to show your community you care about them as Christ cares for them, and provide a way for your church to demonstrate that love. Rules: No donations can be taken at any time. Keep this as a strict policy. If someone presses, invite them to come on Sunday morning and drop the money in the offering as worship, not as part of this sale. Second, use tickets or set a limit of items people can take in the beginning of the event. This will hopefully prevent those that are just there to take a truckload to their own garage sale (yes, this did happen in one of our past events). Donations: People have stuff! Believe me, people will gladly give you things lying around. Opening it up to your church family to bring in their “stuff”, if you give them 2-3 months to prepare, it will come! Organization: Have a drop off location (ours was our garage), and make this clear. Be clear in setting a drop off date. Formulate a team of volunteers to take a week to organize the donations into categories like clothes, housewares, books, etc. Promotion: Keep this in front of your church in announcement and bulletin information. Place an ad in your city newsletter. Put a large banner/sign in front of your church 1-2 weeks prior to the event. Provide flyers for your church family to invite others. Put an event on the app called Nextdoor. Evangelism: Train your volunteers to respond to the “Why are you doing this?” question. Give them tips to answer that question with “Because we love our community/neighbors” and “Because Jesus gave us forgiveness/salvation for free, so we want to follow his example and give you something for free”. Opportunity to De-Clutter: Use this event as an opportunity to de-clutter your church. Because ministry leaders will be more willing to depart with materials if they know it is going to help their community. Important Details: Remember to call Salvation Army (or other thrift store organization) for pick up of leftover materials. Don’t forget this! Make sure to have parking lot & security available. Registration table – give information about church and place to sign up with name/address for future mailer. Volunteers needed for loading of cars and for friendly interaction with crowd. I hope this provides your church a way to love your community. It is hard work, but in the end, it was worth showing others the love of Christ. Dads – we like simple instructions. Here is one, if you can see it then it is temporary, but eternal things are unseen. Each day we get older and closer to eternity…but don’t wait until then to focus on the eternal. When your kids look through what you leave them – they may find sports jerseys, tools, or a coin collection. 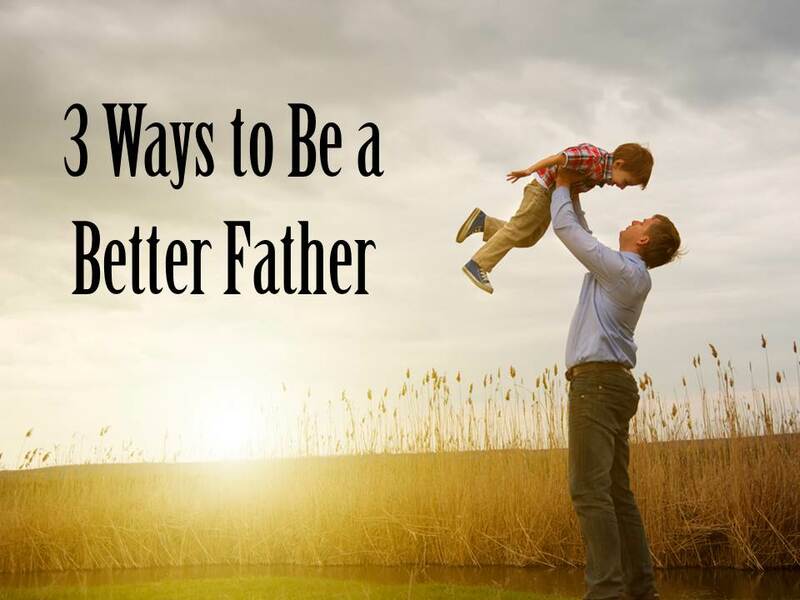 But what your kids really need you to leave them – faith lessons, integrity & leadership example, path to purity, and the way to Jesus Christ as their Savior. As you sit around the dinner table today – it is a blessing to have your kids sitting there, but it is a much more significant blessing to have your kids sitting at God’s table one day. Your kids will not remember the cost of going out for ice cream – but they may recall the lesson of forgiveness they learned while eating it. Your kids will probably never know the amount of your rent or mortgage payment – but they will recall the prayers by their bedside in their room. Your kids often have no idea how tired you are, but your faith and confidence in God’s plan will help them rest. You get the point? Remember what matters. Dads – you can’t be there all the time. But you can point them towards something that can be – their relationship with their Lord & Savior. Your example can point them to Jesus. When they see your life as a picture of grace, forgiveness, trust, mercy, & unconditional love…that becomes a life that points to Jesus. You are showing your kids where the true treasures are. Financial stability, comfortable living conditions, good education are all good things…but those things will fade away…point your kids toward Jesus, an eternal inheritance, a life following God & His Word. Teach them a life given to Jesus a being a good steward of what God gave them…and it is the best life, the life that holds the most joy, and the life that will one day experience eternity as a child of God. Finally, the best thing to do as a father: Introduce your kids to the Heavenly Father. 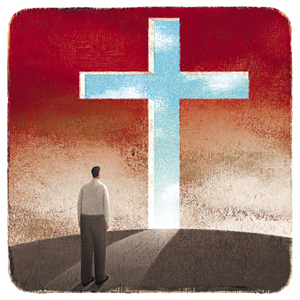 A testimony by a man who grew in his love for the church. Let it be our prayer that we love the Bride of Christ…allow it to be a place of healing, a place of refuge, of place of life change, a place of worship, and a place we can call God’s house. What do you want your church to be? Let’s say your neighbor or friend told you to undergo chemotherapy…would you? Well, no, especially when you feel healthy, have had no symptoms, no lumps, and you have no evidence of a need for chemo. Let me ask you this…does your attitude change when the doctor shows you the MRI, the test results, the blood levels…revealing you have cancer. Do you see a need for the chemotherapy now? Listen, it is only when you see yourself as sick that you go to the doctor. You don’t go to the doctor to visit and chat about sports and the weather. It’s not worth the waiting room experience, is it? No – you go to the doctor when you’re sick. You undergo chemo when you have cancer. Same thing when talking about with your soul – you will never go to the Savior Jesus Christ asking to be saved – if you don’t think there is anything to be saved from…you don’t feel like a sinner or think you are sinner…so why would you need to be forgiven? Well today, I’m the doctor coming to you with the deadly results – you have a genetic defect…in fact, all of us are infected…and it is called sin…and the only cure is the cross. Jesus’ death on the cross. Who needs the cross? YOU DO! I DO! We all do!